In 2015, something happened that would change Nicholas Horbaczewski’s life. 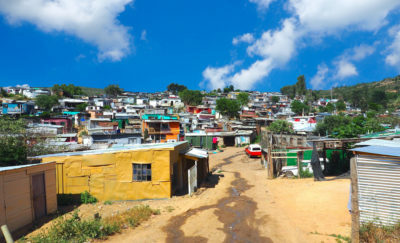 The Oxford and Harvard Business School-trained executive had been driving the financial success of adventure sporting events company Tough Mudder. But in a field in Long Island, NY, something got his attention… drone racing. Today, Horbaczewski has taken the company he founded, Drone Racing League, to incredible heights. 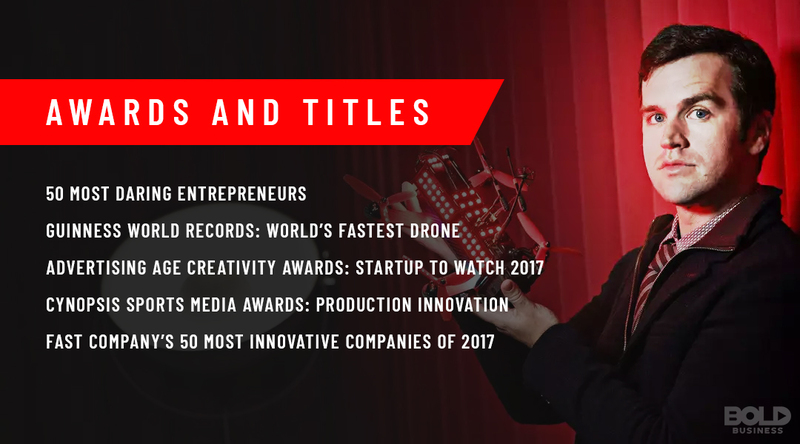 Not only has he attracted millions of spectators to drone racing, but he has reinvented sports as we know it. In fact, Horbaczewski is boldly leading the way in showing what all sports in the future may look like. For his willingness to challenge the status quo, as well as his management style grounded firmly in empowerment and inclusion, Horbaczewski deserves this week’s Bold Leader spotlight. The Drone Racing League has become a strong source of sports broadcasting content thanks to founder Nicholas Horbaczewski. Horbaczewski founded Drone Racing League in 2015 after watching an amateur, homemade-drone racing event in New York. What he saw intrigued him. Drone racing seemed to have all the necessary criteria for a traditional sport. It involved human competition. It was an actual live event with physical challenges. And it created excitement and visceral emotions among spectators as the drones raced, crashed or performed incredible maneuvers. Not only did it have these features, but it was also high-tech, semi-virtual, and used really cool drones! He likes to describe Drone Racing League as a cross between Star Wars and Formula 1 Racing. He also likes those who call Drone Racing League events a real-life video game. Regardless of the exact moniker, Horbaczewski has quickly established the Drone Racing League as a premier sporting event company. More than 55 million tuned in to see the 2018 Drone Racing League championships this year in over 90 countries. Given such early success, it’s hard to imagine where Horbaczewski will go from here. Getting Drone Racing League off the ground wasn’t easy. Horbaczewski immediately faced serious challenges, with the largest being drone technology itself. The commercially available drones were not necessarily capable of performing in race-like situations. And having pilots make their own drones could quickly become a contest in robotics rather than drone racing skills. So what did Horbaczewski do? He acquired drone design and manufacturing company, Dronecraft. Today, Drone Racing League designs and builds every drone its pilots use to compete. The risk in bringing everything in-house with drone design was just the beginning. Since then, Horbaczewski has developed Drone Racing League’s own advertising division. This aspect of Drone Racing League permits the company to create comprehensive ad campaigns for companies centered on the sport. And with the vast amount of entertainment content creation, Drone Racing League has many interested parties. No other sports league in the world has approached sports in this fashion. But for Horbaczewski, pushing the envelope is simply something that has to be done to maintain that competitive edge. 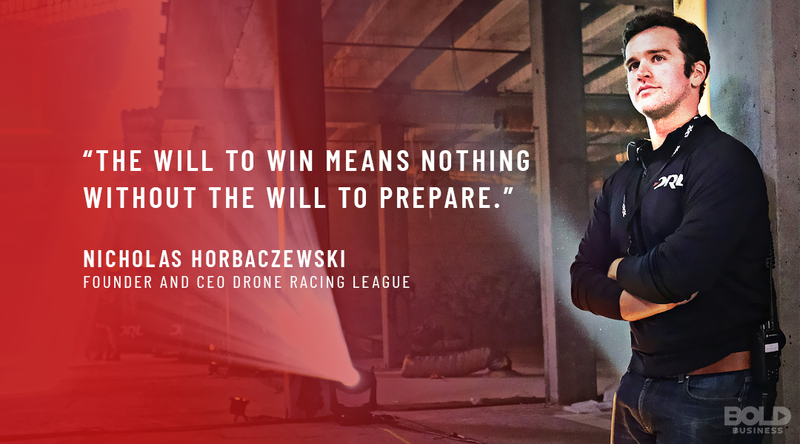 The bold leadership of Nicholas Horbaczewski has made Drone Racing League into the sport of tomorrow. There is no lack of confidence with Horbaczewski. But the type of confidence he demonstrates is not the kind that comes with a big ego. Even after Drone Racing League was touted as the “future of sports,” the label didn’t go to Horbaczewski’s head. Instead, he pondered exactly what the phrase might mean and how Drone Racing League might continually advance. In other words, Horbaczewski balances confidence with a healthy dose of humility in developing a perpetual competitive advantage. This type of humility is common among bold leadership. For Horbaczewski, it allows him to gain the most out of those around him. He regularly calls investors to ask for their participation in the Drone Racing League’s future. Likewise, he visits drone design teams and collaborates with his executive team weekly. These efforts, combined with trips all over the world to meet competitors, advertisers, and broadcasters, highlight his efforts to include everyone in hashing out innovation. Without question, Drone Racing League links technology, sports, and entertainment. Younger generations of sports fans are increasingly intrigued by the integration of technology into existing experiences. This blending of the digital with the real is what has driven the Drone Racing League’s tremendous growth and success. But younger generations, as well as older ones, also have additional concerns regarding social responsibility. From football concussions to disabling race car crashes, traditional sports have their fair share of moral hazards. For Horbaczewski, one major benefit that Drone Racing League provides is a lack of this moral concern. While a drone crashing into a wall at 80 mph is exciting and shocking, the pilot remains unharmed. Yet still, the drone pilot’s skills are being tested in an actual physical field of competition. Horbaczewski foresees this as the wave of the future for sports. With opportunities to increasingly combine technologies and real-world competition, sports have the chance to be more relevant to modern viewers. At the same time, they can use more socially responsible technologies in the process. It’s of little surprise that Horbaczewski has been recognized as one of today’s boldest leaders. In addition, to being cited as being among the world’s fifty most daring entrepreneurs, he has received numerous accolades. His unique combination of risk-taking, confidence, humility, and social responsibility fuels Drone Racing League’s success. The fruits of Nicholas Horbaczewski’s bold leadership are a tech-based sports league heavy on thrilling content. 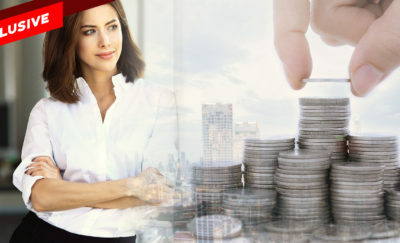 And at the same time, it fosters essential innovations and the empowerment of others critical to the company’s future. Will Drone Racing League be the future of sports? The answer has yet to be revealed. But odds might be pretty good with Horbaczewski being the lead pilot.